Clementine Art is a lovely company that was started by an art teacher who was concerned with the ingredients in children's art supplies. She started making play dough and paints right in her kitchen at home, and now she has developed into a wonderful company that makes a full line of children's art supplies! 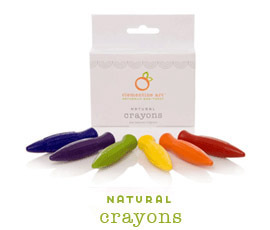 Clementine Art makes great eco-friendy art supplies for kids, but they are also focused on building kid's creativity and innovative thinking,which I love! They have some great projects for kids on their blog. This blog has become one of my favorites for inspiration and ideas of fun stuff to do with the boys, and you should check it out too! 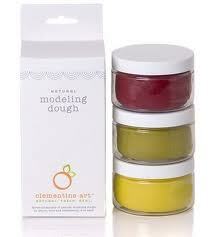 We received the Modeling Dough to review. Tater was SO excited when he opened the package and saw what it was! We really liked these! 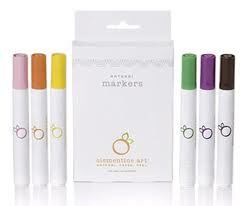 They are made from natural ingredients, and they smell AMAZING! They really do smell like strawberry, lemon, and lime. They are colored using Turmeric, Carmine, and Spinach, and the colors are really bright! Much brighter than I expected. I really didn't know they could get such vibrant colors without chemicals and dyes! Tater really enjoyed these, and I liked the fact that I knew exactly what was in them! Win-Win! We played with these for probably an hour! That is like a record for him! He really liked making fruit with them since they had such a great fruity smell. It was so cute! 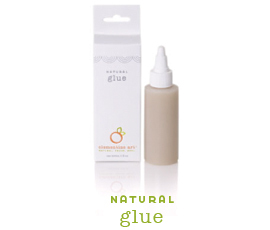 Clementine Art has tons of great products, including glues, markers, paints, and crayons. 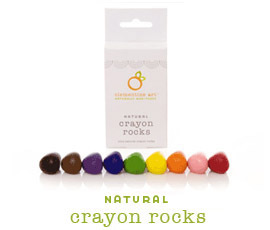 Check out these awesome "crayon rocks"! I think they would be so fun to play with! Thanks so much to Clementine Art for letting us try your products! To check out Clementine Art for yourself, just click here! Join Clementine Art on Facebook and Twitter too!